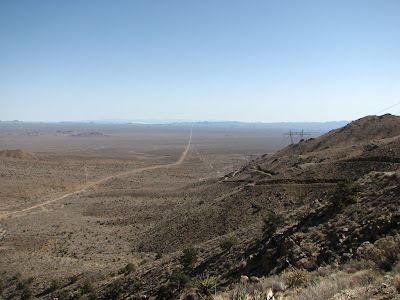 I drove up and over Foshay Pass (in the Mojave National Preserve). 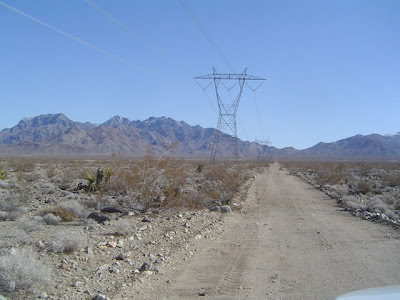 But instead of taking the straight boring road that everybody takes, I drove the very curvy powerline road that parallels it. Here's a google map centered on the area. 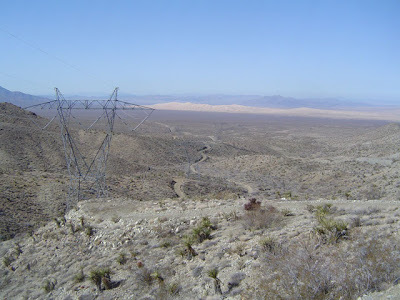 You can see the curvy powerline road south of the straight one. The road was a lot of fun to drive. Very scenic too, including great views of Kelso Dunes. There were a lot of rock falls, and a few spots of snow beside the road. I still want to drive the straight road, mostly because Mitchell rates the hill near the top as a class 3 (for steepness). He rates the steep hill in Last Chance Canyon as a 3 also, and that's pretty steep (I've driven over that several times). He also rates Lippincott Road as class 3, and that's not very steep. 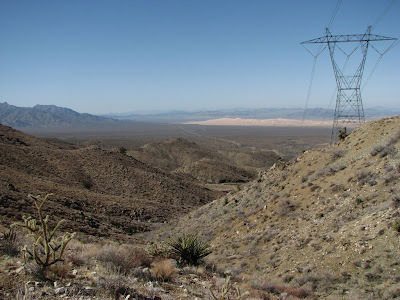 This shot was taken from the top looking west toward Kelso Dunes. This looks east toward Goffs. 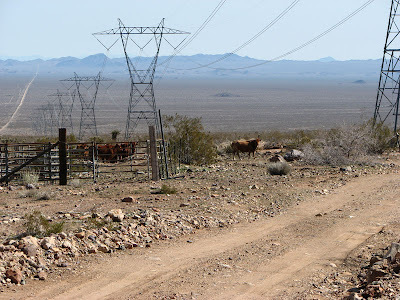 I drove past a corral ... with cattle!